The F4365 and G5 are assembled together in Des Moines, Iowa. Large-scale grain producers and commercial ag service providers can now more precisely apply dry fertilizer and other nutrients across a wide variety of crop and field applications, with the new John Deere DN495 G5 Dry Spinner Spreader for the F4365 High-Capacity Nutrient Applicator. 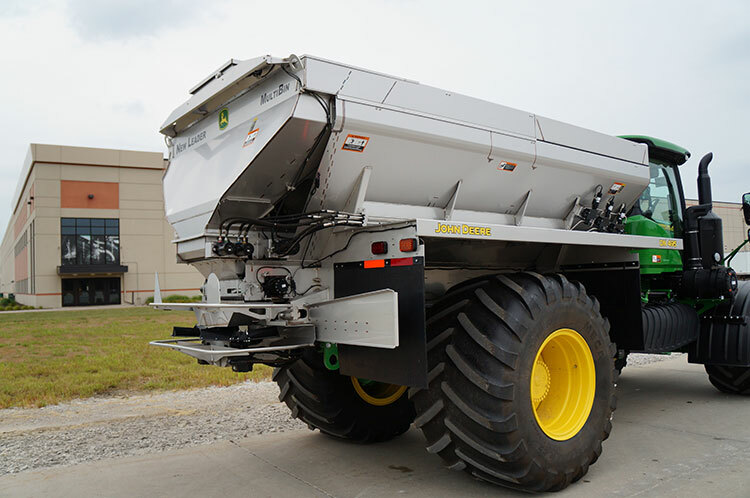 The DN495 G5 Dry Spinner Spreader, available as a factory-installed option for model year 2019 machines, features full side-to-side swath width control; automated feed gate and fan frame control and bulk material conveyor tensioning; and independent spinner monitoring and control for more convenient and reliable nutrient applications under tough field conditions. The DN495 G5 fan-frame design is capable of side-to-side, half-width, and boundary swath width control. 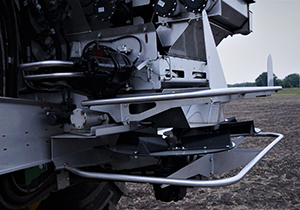 In addition, advanced Section Control capability with the spinner spreader allows producers and ag service providers to achieve more precise product placement for desired plant health and agronomic results. At the same time, they can reduce or eliminate problems associated with over and under application of fertilizer. New Leader® G5 ISOBUS controller is displayed on the Generation 4 CommandCenter™ for an integrated operator experience. When coupled with John Deere Section Control software, the G5 dry spinner spreader is capable of half-width, boundary, and full-width side-to-side control of 16 virtual sections of spreading swath width to more accurately cover field applications with fewer skips and overlaps. Other convenient maintenance improvements incorporated into the G5 are machine-prompted chain oiling, centralized lubrication points and improved hydraulic routing. 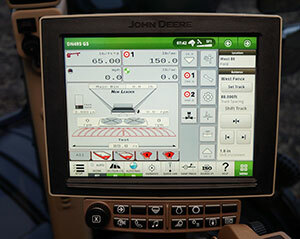 To enhance the operator experience and visibility to operations in the field, a Gen 4 Extended Monitor can be added to view guidance settings, mapping, and G5 ISOBUS controls at the same time. The DN495 G5 Dry Spinner Spreader is available in either 409 painted steel or 304 stainless steel, with single bin, MultApplier™ (two product), and MultiBin™ (four product) configurations, depending on customer preference. The new DN495 G5 can be ordered starting in September with delivery expected in mid-2019. 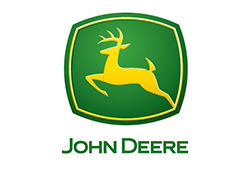 For more information on the new DN495 G5 Dry Spinner Sprayer and the full line of John Deere nutrient application equipment, contact your local John Deere dealer or visit JohnDeere.com/ag.